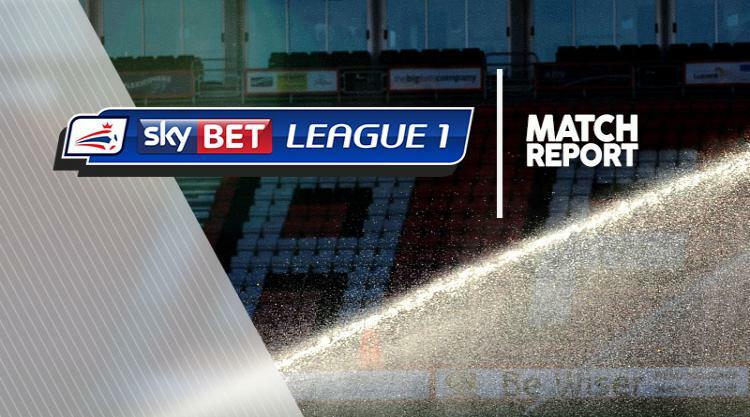 MK Dons delivered a second-half demolition of Peterborough to power to a 4-0 derby triumph. Harvey Barnes set Robbie Neilson's men on the way to glory at the ABAX Stadium by opening the scoring just before the hour-mark on his full Dons debut. The Leicester loanee, who also struck as a substitute the previous weekend, finished coolly after being picked out by Paul Downing's pass. Kieran Agard doubled the visitors' advantage with a neat 71st-minute finish before Chuks Aneke spectacularly added a third goal with a dipping blast three minutes later. And Aneke made it back-to-back braces when striking again with seven minutes to go after stepping away from two defenders. Dons had earlier been denied by a host of fine blocks from Posh defenders before ruthlessly putting the hosts to the sword. Posh, who are rapidly sliding out of play-off contention, had chances of their own with Downing making an early goal-line clearance to deny Lee Angol before Martin Samuelsen failed to connect with a Marcus Maddison cross from point-blank range. But it took them 77 minutes to force Dons keeper David Martin into a save as he kept out substitute Gwion Edwards' drive.